As comic book superheroes become more popular and mainstream than ever, efforts to make the genre more inclusive and diverse have begun to yield results — just not yet on the big screen in lead roles. 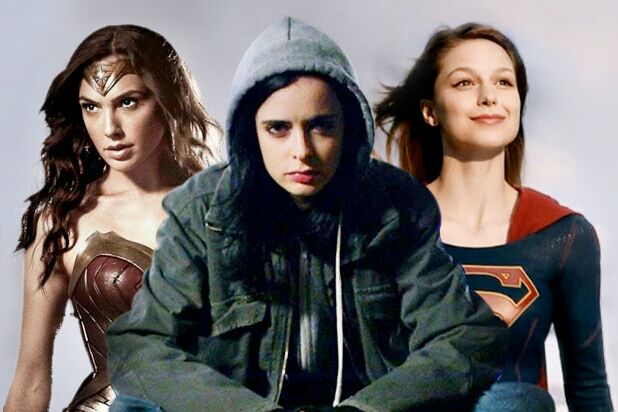 ABC’s “Agent Carter” is heading into its second season, just in time to welcome newcomers “Supergirl” (CBS) and “Jessica Jones” (Netflix) as the newest solo female superhero series. The CW, in addition to its “Flash” and “Arrow” series, also airs “iZombie,” featuring Rose McIver as a character based on a Vertigo comic book. Meanwhile, Warner Bros’ “Wonder Woman” won’t hit the big screen until summer 2017 and Marvel’s “Captain Marvel” won’t follow until at least two years after that. The “Captain Marvel” date seems especially far off, as it’s a year later than its original 2018 scheduled release. And fans are not the only ones champing at the bit. “I want to see a female superhero movie come out yesterday — I’m very impatient for us to have female superheroes in our movies now,” Nicole Perlman, who is co-writing “Captain Marvel,” told TheWrap. However, Perlman has a pragmatic approach to how Marvel schedules its films, calling it a “house of cards” balancing act. Most recently, that came with a deal for Sony’s Spider-Man to cross over into the Marvel movie universe that had been exclusively overseen by Disney. The addition of new Spider-Man movies pushed back a bunch of planned Marvel projects. On the other hand, TV as a medium seems more conducive to allowing filmmakers to try things that would be harder to get greenlit — and scheduled — for the big screen. Film is not without its female-led action properties, of course — though very few are based on comic-book characters. Jennifer Lawrence‘s Katniss Everdeen has been leading “The Hunger Games” rebellion since 2012, while this year also saw the rise of “Mad Max: Fury Road’s'” Furiosa, played by Charlize Theron. Melissa Rosenberg, the showrunner on “Jessica Jones,” also wrote all the “Twilight” movies, and she is well aware of the impact that the Kristen Stewart-led franchise has had on the current state of female-driven properties. Still, Rosenberg cautioned, what looks like a sea change could amount to more of the same. However, with the success of the recent crop of female-led action movies, some filmmakers have described a noticeable shift in attitudes. “I have felt it,” Perlman said. “But possibly it’s because I like projects that have strong female leads.” Perlman recently turned in a new draft of “Wool,” an adaptation of Hugh Howsey’s novels about a female sheriff and scientist. “Jessica Jones” premieres Friday, Nov. 20 on Netflix. 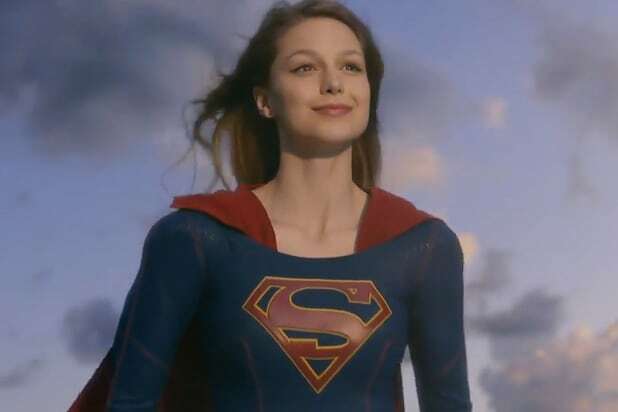 “Supergirl” airs Mondays at 8 p.m. ET on CBS. “iZombie” airs Tuesdays at 9 p.m. on The CW and “Agent Carter” returns for Season 2 in midseason on ABC.